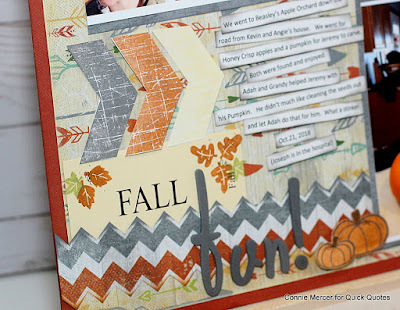 Blog Quick Quotes: Autumn Brilliance with Connie! 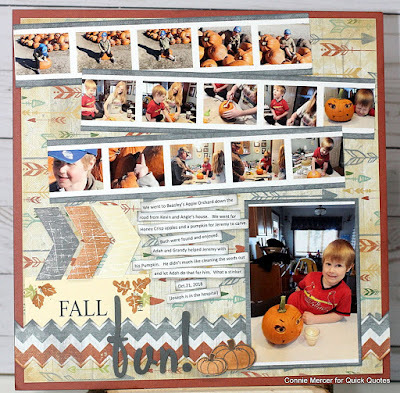 Hi, Connie here with a Pumpkin inspired scrapbook page using Autumn Brilliance by Quick Quotes. The photos were grouped by using the My Image Garden by Canon. 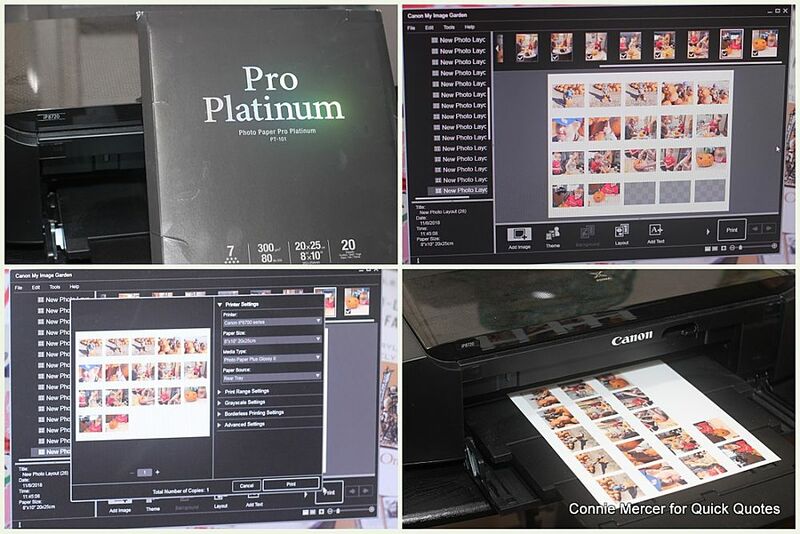 It comes with the iP8720 Canon Printer that I will be printing from. I love scrapping an entire event on one page. 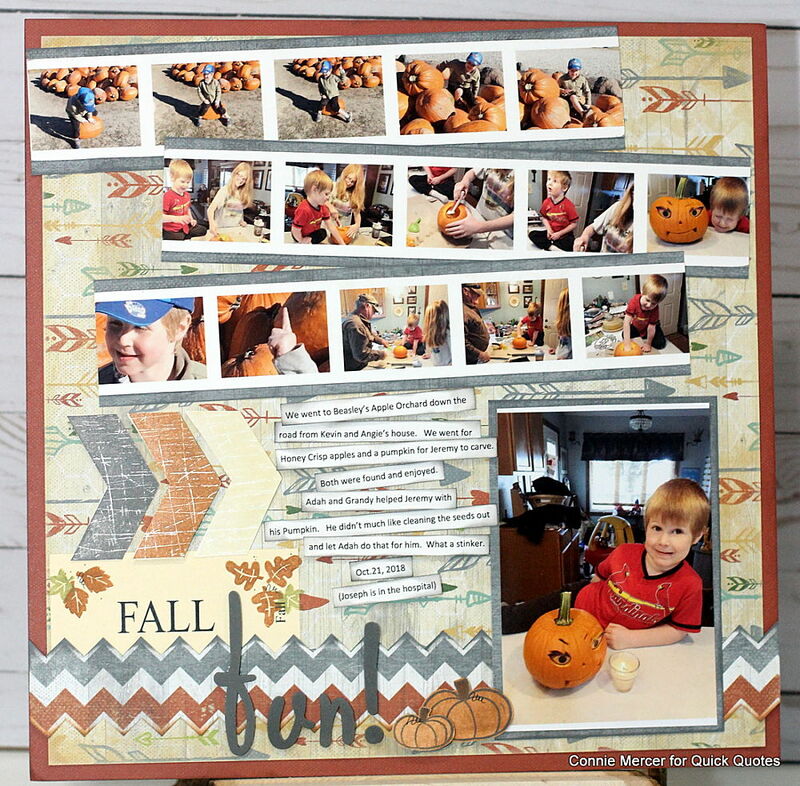 Sometimes it is too much, but doing it this way I still get all the photo frames and cute faces on one page. 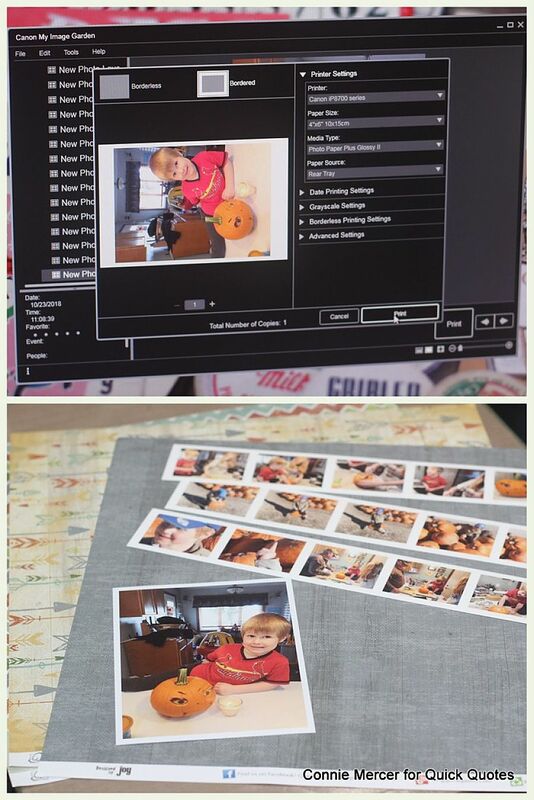 The photos were grouped on 8x10 photo paper by Canon and printed out. 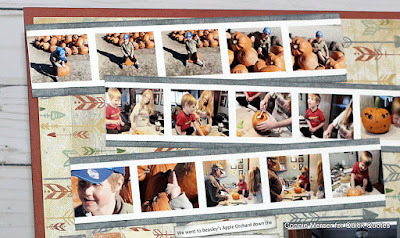 They were cut into photo strips and mounted on grey paper from the Autumn Brilliance collection. The Image Garden program allows you to zoom in or zoom out, to catch cute moments that are in the photos. Some of the pictures in these frames are close up images from the picture. I really thought that was a super cool feature. I loved that I was able to single out a cute face picture and the finger pointing to the sky. 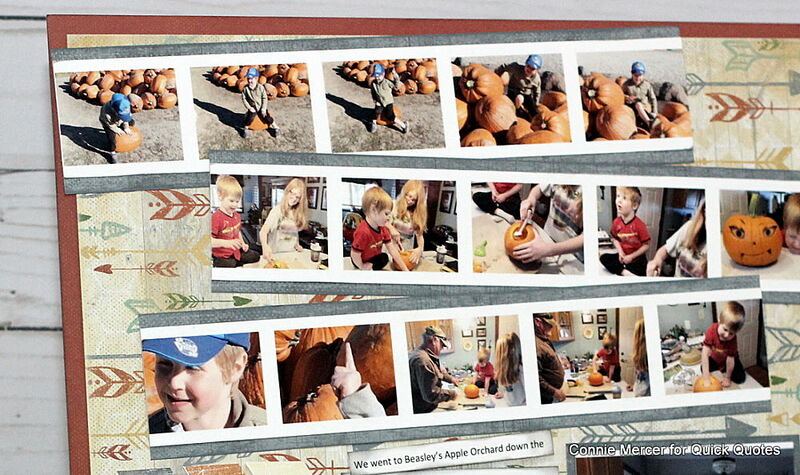 The focal photo was printed out as a 4x6 and then matted with the grey paper from the Autumn Brilliance collection. 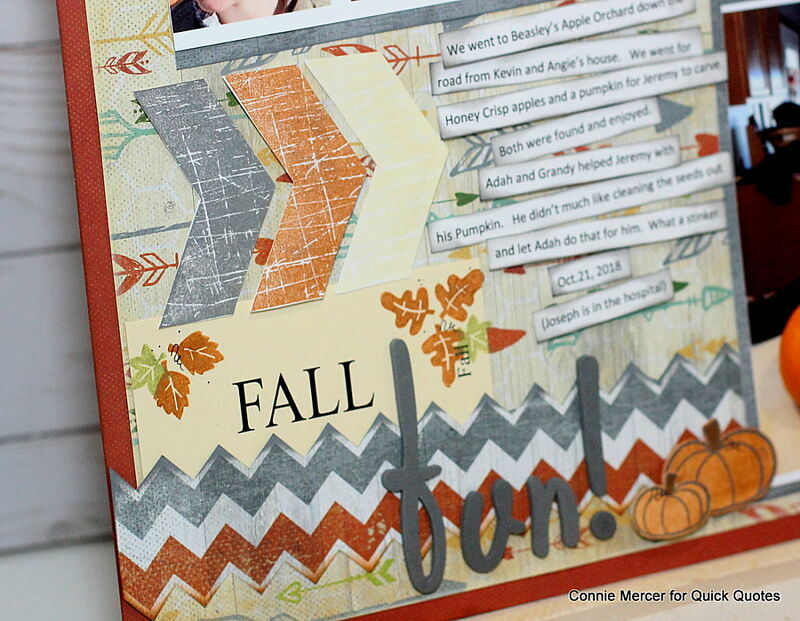 The embellishments were stamped out using PowderPuff Chalk Inks.